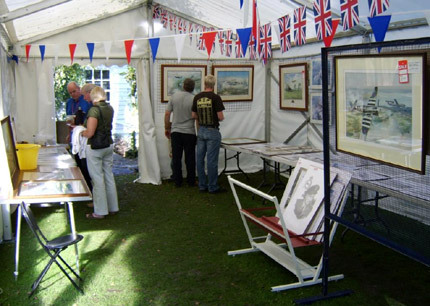 Great bargains and offers on Geoff Nutkins original artwork, limited editions, pilot and artist signed prints along with one-off specials and new pencil sketches will be available to purchase at the Museum. Entrance to the art sale is free and all proceeds from the sale of artwork will go towards the Museum extension building fund. Here’s your chance to have a great experience at a popular “Sit-in-a-Spit” event at Biggin Hill Airport. This is a rare opportunity to sit in the cockpit of the airworthy “Spirit of Kent” Spitfire and to have your photograph taken wearing authentic flying kit. There will also be guiding talks given by the “Kent Spitfire” team whose great range of merchandise will also be available to purchase. 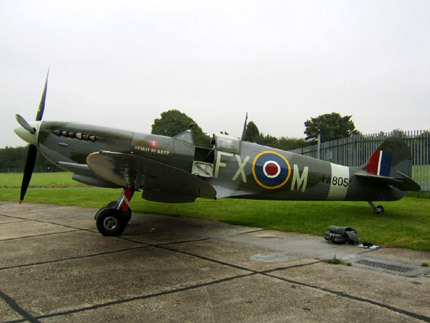 The cost for this experience is £30 per head, with the proceeds split 50-50 between maintenance costs of the Spitfire and the Museum projects. To book your “seat”, please send a cheque to the Museum address payable to “The Shoreham Aircraft Museum” or call the Museum to book by credit card. You can also book by visiting the Museum. Please indicate your preferred day at Biggin Hill and the event starts at 10 a.m. on both days, meeting at the “Air Partner” hangar which is accessed via the main airport entrance. (Please note the meeting point could be subject to late change). You are currently browsing the Shoreham Aircraft Museum – News archives for June, 2009.